Soft Palettes – Pastels and subdued tones allow the bride and groom to take center stage while adding a warm softness to the décor and accents. Mixes of light pinks and purples work well along with lighter shades of blues and greens. Traditional brides may opt for more elegant neutrals such as ivory and taupe. Beautiful Florals – There is no better time than spring to take advantage of the many floral options available for your wedding. Floral shops are overflowing with many types of flowers at every price point. From centerpieces to the bouquets to aisle runners, use seasonal flowers to add a fresh, spring look to the event. Fashionable Wellies – In spring, you never know when it could rain. And while rain on your wedding day is actually thought to bring good luck, it can also wreak havoc on you and your bridesmaids’ stylish attire. Come prepared by gifting your attendants fashionable wellies instead of the traditional jewelry. They will not only protect your feet if it rains but also make for a cute photo op even if it doesn’t! Stunning Backdrops – Blossoming buds and sprigs of new greenery can make the perfect backdrop for unforgettable wedding photos. Take full advantage of Mother Nature’s gift by planning some outdoor photos. A park, orchard or garden all can offer stunning scenery. For further assistance with your springtime wedding enlist the help of a professional wedding and event planner. They can help you coordinate many of the important logistics of the big day from finding the perfect venue to planning for inclement weather. 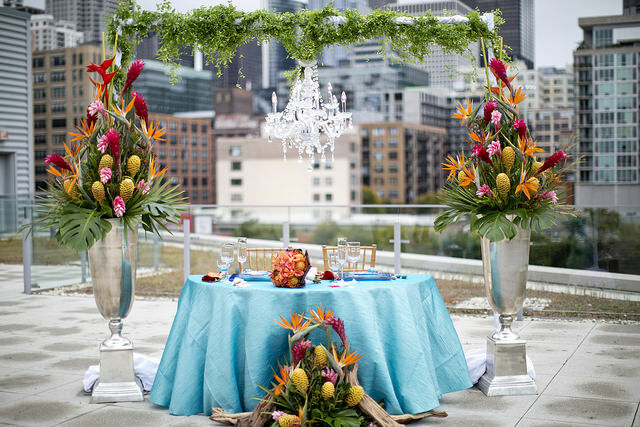 Windermere Elegant Wedding and Special Events is a full-service event planner catering to couples throughout the Chicago area. To learn more about our personalized wedding services, contact our team today.